Why is Takahashi overly expensive? Here are a couple photos (1st. and 2nd. 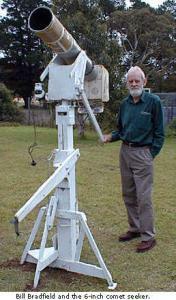 link) of their Takahashi FCT 250 10-inch f/10 observatory refractor that was offered starting in 1991...Big Big money! See the following links. After all, they come with 3 finder scopes and 4-5 eyepiece 'diagonals'!! The $277K for a Takahashi FCT 250 10-inch observatory refractor was their 1991 price. Even if Takahashi still offered it today (26 years later)....with today's inflated prices...you would need some very very deep pockets. Edited by Klitwo, 20 April 2017 - 02:37 AM. Given the first rate and expensive glass and materials, and the skilled labor and time to construct a Tak, why shouldn't they be expensive ? Craftsmanship comes with a cost. They do make fine telescopes. The first time you build something yourself, on a one-off basis / with your hands, you quickly realize how insanely expensive it is to manufacture things the "old" way, versus how incredibly efficient mass manufacturing is. You also appreciate how much finer the craftsmanship is when you do things slowly and methodically, with attention to detail. It is all at once incredibly inefficient and incredibly high quality. As others have mentioned, you improve the quality a lot less than you increase the cost. By way of example, I once built my own desk from 300 year old reclaimed wood used in an an old cotton refinery. I took a while to hand select which boards I wanted to use. Then, rather than drill out the old rusted nails (which would have left unsightly gashes), I had to carefully chisel them out by hand. I sanded to 800 grit instead of 250. I hand-oiled the finish instead of varnish. On and on. It took me probably 200 hours to make it perfect - down to the last detail. Multiply 200 hours by even $20 an hour (which is low), and you have a $4,000 desk. If you mass-manufactured the same product, I have no doubt you could do it in no more than 25-40 hours, and most of it would be done by machine. Probably cost $250-350. You'd miss out on the quality that I put into it - but gain far more value. That is all to say: once you start having humans do unique and individualized work on a piece - with attention to small differences in the product - rather than the machines doing standardized and repetitive actions - the price skyrockets. Quality goes up as well - but not by a commensurate amount. When I lived in Plymouth in the U.K. There as one of the big old churches that was demolished, congregation vanishing, prime real estate and a need for parking space. Managed to get some wood from one of the pews and had a friend make bar stools from them. Very fine old wood and a skilled craftsman made very fine stools. I don't think you could get the equivalent finish on wood today (I'm not a woodworker just like craftsmanship). My ex wife still has them, they were darn heavy. A good scopes the same, they last and put a smile on your face each time you use them, just take the scope with you as part of the divorce . when it comes to "perfection" and being "blessed"...here is one guy with his humble homemade ($60) 6-inch antique 100 year old camera lens refractor who really stands out in a crowd of top-of-the-line big money APOs and expensive big mirror Newtonians alike...See the following links. Hah. I love stories of people doing awesome things with non-flashy gear. Everything Takahashi makes is expensive, to me anyway. I'm one of the Frugal Astronomers. I've been into Astronomy for over 25 years and have incessantly refused to buy anything Takahashi because I believed Takahashi was overpriced. There is no way Takahashi products could be worth the money, when I could buy a Vixen, Meade, Celestron, Orion, etc. telescope. I've owned everything from a Meade LX200 16" SCT to TeleVue NP101 to a Vixen Newtonian and everything in between, but I had never owned a Takahashi scope because honestly, why would I ever waste the money? I had seen Takahashi's at various star parties over the years, but never bothered to even look through one as they just looked so... old fashioned. About six months ago I was in the market for a small airline portable travel telescope and had been seriously considering the TeleVue 76 small refractor, which seemed to fit my needs perfectly and I had a good experience with the TeleVue NP101 I previously owned, so I was about to place the order until I read a review of the new Takahashi FC-76DCU. Given the pricetag was right around $1,400 new, I figured I wouldn't be out too much money if the little Takahashi didn't live up to the reputation and because I know Takahashi scopes hold their value, I could easily sell it for almost what I paid so buying it was a safe investment. It arrived a few days later and I was blown away with the performance and completely sold on Takahashi being worth the cost of admission. Just one week after I had received my Takahashi FC-76DCU, I couldn't help it and placed an order for the Takahashi TSA-120. The TSA-120 arrived, and blown away would be an understatement. Without going into details, i'll just say after receiving the TSA-120, I bought a Mewlon 210. I am addicted. As soon as my lifestyle has me living in one place for more than a few years and I can once again build a home observatory, I will be purchasing a TOA-150. I don't need to look through one to know I will be blown away, because after experiencing the FC76-DCU, TSA-120, and Mewlon 210 -- I know Takahashi in every sense lives up to their reputation as being to put it simply, the best, and I know the TOA-150 won't disappoint. The fit, the finish, the quality, the optics, the coatings, the paint, the hex head screws, the safety decals, the finderscopes, and every bit of detail on every Takahashi appears to have been produced with the utmost degree of precision. In a matter of four weeks, I had spent over $10,000 on Takahashi products after going out of my way to avoid Takahashi at all costs for the past 25 years. If you are still messing around with Meade, Celestron, Orion, Explore Scientific, and the other brands out there like I was, always looking for the next new scope, always buying, selling, and trading, always waiting for the new piece of technobabble to attach onto the side of an LX200 in the most unrefined possible way and you're sick of it, then it's time to move over to Takahashi. If you don't believe Takahashi is worth the price of admission, then you're just not at that point in life yet and there's nothing wrong with that, after all, it took me 25 years to finally reach the point of realizing Takahashi offers, by far, the finest consumer astronomy products on the market. I cannot count the number of times I have become sick and tired of astronomy as a direct result of all the poor quality products on the market that promise Hubble-like results and arrive at your front door with cheaply molded plastic and crooked stickers that say "Made in China" often emanating from Meade, Celestron, and Orion as the largest offenders of cheaply made products. I do believe that Takahashi telescopes are products that one needs to eventually mature towards, and for similar reasons as amateur astronomers buying the Question 3.5 and the Questar 7, people buy Takahashi. The BEST telescopes on the market are entirely subjective as different people have different needs and objectives with their astronomy gear. For me, I used to be all about big aperature and big focal length SCTs in the 14" to 16" and 4,000mm+ FL range from Meade and Celestron, but my needs and desires overtime have evolved (and matured), and things like fit, finish, and refinement are the most important factors for me right now, and Takahashi is able to offer me a telescope that meets all my needs from big FL's for planetary viewing to widefield light gathering refractors for DSOs, all with the same consistency of precision fit, finish, and quality that is impossible for the big box manufacturers to offer in 2017. It took me 25 years to realize that Takahashi products were not overpriced, instead they were just simply one a few companies in the amateur astronomy market (along with AP and Questar) where you actually receive a high quality product commensurate for what you pay. Six months ago, I wouldn't have believed I wrote all of this and i'm a bit disappointed with myself that it took me so long to finally discover the greatness that is Takahashi. Edited by jag32, 02 August 2017 - 03:50 PM. Edited by Klitwo, 03 August 2017 - 01:20 PM. Welcome to the club! I hope you enjoy your Takahashi scopes as much as I have over the years. I have always considered Taks to be somewhat expensive, but not "overly" so. The TOA-130 is still the best set of optics I have ever looked through. Too bad, my multiple back surgeries forced me to let it go. One of my close friends finally bought a 210 Mewlon after agonizing about it for almost ten years. Now she is happy with the scope, but mad at herself for waiting all these years. If I had an observatory, the TOA-150 would be my first purchase, too. Hmm - I own a couple of Taks. I suggest you build "replace focuser with FTF3545" into your spending spree budget. In all seriousness, if you compare focusers, Tak just doesn't have a clue. On the other hand, Tak optics are about as good as it gets. As for holding their value - nope. A used TOA150B will sell for around $8k5, so something like 65% of the new price. Of course, if you buy a used TOA150, you're golden. I've had my TOA150 about 8 years and it's probably appreciated a bit. If astro-imaging is your forte, the Tak will be the better choice. Don't forget a high-end mount to go with it. For visual, though? Get real. the Tak will be severely limited--a well-machined, and beautifully-performing SMALL scope that can't see much. If you buy your scopes for visual use, the Tak isn't just over-expensive, it's ridiculous. If you buy your scopes for photography, though, that Tak is an incredible choice. Edited by Starman1, 03 August 2017 - 12:36 PM. Visually, if your eyes and the sky are up to it, the TOA150 might tolerate a bit more than 55x per inch** so it's good for observing but you simply can't get around the laws of physics - it will stop delivering increasing visible detail at about 35x per inch or 200x. ** I've seen 100x/inch quoted but I can see the Airy disc at 20x/inch and I'll believe the laws of physics over Internet myths or advertising hype every day of the week. Things are less dismal when imaging. By installing a TOA130R, you create a 6" f/5.3, flat-field astrograph which delivers a field to suit a 16803 camera. The focal length is about 825 mm and the image scale is 2.25" per pixel. My FS-128 is a joy to observe with, fortunately there are enough interesting objects to keep me happy with it. No defying of physics and no claims of me having perfect vision or skies. Just saying it's a possibility to be happy with one. I would agree with this. The tak focusers leave a lot to be desired. I agree as well. Tak focusers are not the best. FT is the better option. 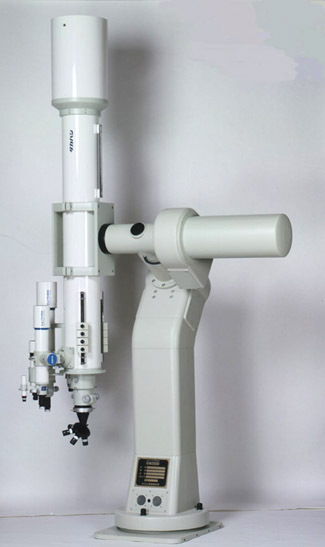 It seems to me that Takahashi telescopes are the equivalent of Apple computers. The basic OTAs are excellent, but they are expensive, and their accessories are also. Similarly, Apple makes superb hardware, but one can be caught in their world and paying premium prices (1,000 for an iPhone X that will be outdated in 3 years?). Porsche is the same. You pays your money and you takes your choice, lucky to have had the money in the first place! Edited by david-p, 29 October 2017 - 06:50 AM. The only way that you can understand why they are so expensive is to look through one. Then it hits you. A friend of mine once told me the truth: there is no perfect telescope. It's always a compromise that depends on many factors. So we look for what works best for us, given our individual circumstances. My TSA102 is limited in what it can show, of course, but I'll never part with it, and it's the scope that goes out the door most often, and it keeps me happy enough. But as we all know, when you pay three times as much for something - be it wine, or car, or telescope - you only get say 20% better "performance." Is it worth it? The answer is simple: if it's a stretch for you then don't do it, because it is not worth it. But if you can afford it without worrying about it, then I would say yes, it is definitely worth it. The lenses are made of magic . . . The Mewlon 180C is $2320 here in the US. As for the focusers, they are typical Japanese, i.e.. they will continue the tradition of sand-cast parts because they can. I agree that for imaging one might want a heavy duty focuser (Tak imaging scopes come with 4" R&P focusers with linear bearings ) for visual there is absolutely no need to waste money of a Feathertouch other than that some people like to have an FT.
Edited by Kunama, 30 October 2017 - 04:02 PM. Takahashi USA sets the prices for Takahashi products in the US. Whatever the price, many of their refractors retail for more, so your original point is still valid. A Dall-Kirkham Cassegrain (the Mewlon) can still be a very nice long focal length instrument. Edited by Klitwo, 31 October 2017 - 04:52 PM. Thinking about it, I don't own a premium anything. Perhaps it would own me instead. Lately, I've been considering buying a lens and building my own refractor around it.